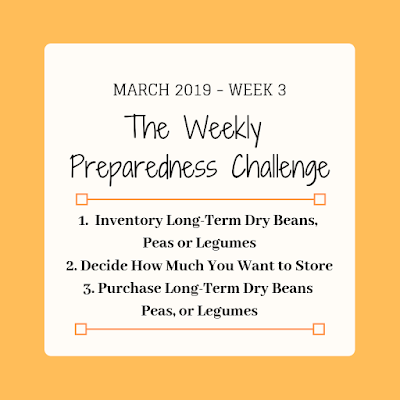 This week for our Preparedness Challenge, we'll be gathering long-term dry beans, peas and legumes. I'd be the first to admit, I'm not an expert on these food items. But I know if the LDS Church leaders encourage us to gather them, they must be important. And so, I gather them. If you have long-term dry beans or legumes stored, take an inventory of them. 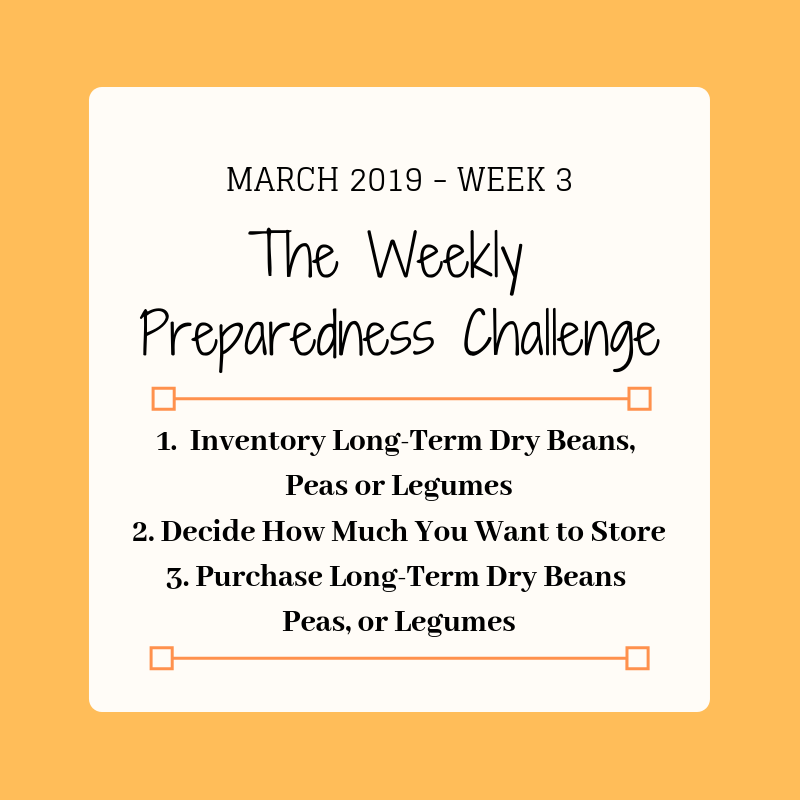 If you decide you want to store long-term dry beans, peas or legumes, choose an amount you can afford. on the LDS.org it states: "Where permitted, gradually build a one-year supply of food that can last for a long period of time. Focus on foods such as wheat, rice, pasta, oats, beans, and potatoes that can last 30 years or more when properly packaged and stored in a cool, dry place." You don't need to store a year's supply all at once. Personally, I only purchase a box of 6 at a time so my food storage doesn't expire at the same time. A general recommendation from BYU article "An Approach to Longer Term Food Storage,",is to store 12 cans per person for a year's supply. Everyone doesn't have room to store a year's supply, so decide what you can do now. The LDS Church sells long-term Black Beans 5.5 lbs., Great Northern (White) Beans 5.3 lbs. and Pinto Beans 5.2 lbs. in #10 cans for $5.50. Each has a 30-year shelf life. They store best at 75 degrees or less. You may purchase them at LDS Home Storage Centers or online at https://store.lds.org. Other food storage companies sell dry kidney beans and dry peas. Feel free to purchase where you want, but the LDS Church prices are amazing. 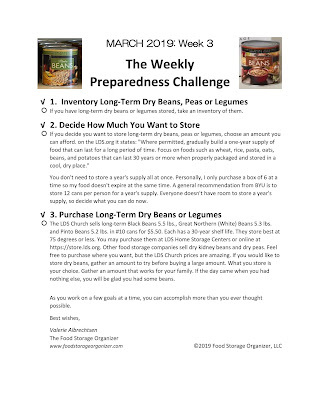 If you would like to store dry beans, gather an amount to try before buying a large amount. What you store is your choice. Gather an amount that works for your family. If the day came when you had nothing else, you will be glad you had some beans. Currently, the LDS Home Storage Centers have Black Beans on sale for $5.00 a can. And dry refried beans (5-year shelf life) for $5.50 per can. 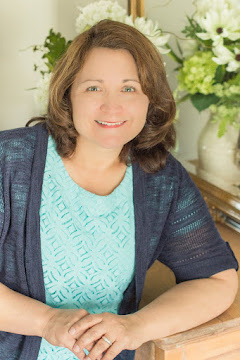 As you work on a few food storage goals at a time, you can accomplish more than you ever thought possible. For some reason we it is not letting me print the weekly challenge. It says that I do not have permission to do so? I have been able to do the last ones. Awesome it works now!!! Thanks for all of your hard work and for helping us prepare our families. I have truly been blessed by following your simple steps. Thank you again! You are so welcome. I'm so thankful I am able to help others. I'll look into it when I get home from work.